Signature Moves: Falcon Arrow, Space Rolling Elbow, Crossface, Cross Armbreaker, Dragon Screw, Fireman’s Carry Double Knee Gutbuster, Tilt-a-whirl Backbreaker. Interesting Trivia: Also, a successful mixed martial artist, he trained with Jerrick Jones at Albany Boxing Gym. He made his debut on 29th January 2010, against Justin Pierpoint in the Cage Wars organization. He defeated Pierpoint by technical knockout in the third round after Pierpoint suffered a broken nose at the end of the second round. Training under Tony DeVito and Harley Race, he made his pro wrestling debut in 2002. He tried his hand at several independent competitions in the Northeast before moving to the Ring of Honor in 2004. He also had stints at the New England Championship Wrestling and the first Evolve Wrestling. He was defeated in the opening match of Evolve by Kyle O’Reilly via pinfall, on 10th January 2010. He made his debut in the developmental territory NXT on 23rd June 2017, losing to Aleister Black. His signing was confirmed by Triple H on 12th July. He won the NXT Tag Team Championships along with O’Reilly after they attacked SAnity and defeated The Authors of Pain, at the NXT Takeover: Brooklyn III. They also went to assist the debutant Adam Cole in attacking the newly crowned NXT champion Drew McIntyre and announced their arrival to the NXT. The trio came to be known as The Undisputed Era. They formed an alliance with Roderick Strong after his match with McIntyre. Strong went on attack The Undisputed Era, after appearing to assist them, in a three-team brawl in the NXT Tag Team Championship match between SAnitY and The Authors of Pain. They won the first WarGames in over 17 years, after they defeated SAnitY and a team of Strong and The Authors of Pain at the NXT Takeover match. They again defeated SAnitY on 20th December 2017 to win the next NXT Tag Team Championship. They retained their title at the NXT Takeover: Philadelphia as they defeated The Authors of Pain. Fish is best known for his exploits in the Ring of Honor from 2012 to 2017 in the tag team “reDRagon” with Kyle O’Reilly. They won the ROH World Tag Team Championship thrice and the ROH World Television Championship once. They defeated the Briscoe Brothers on 2nd March 2013 to win their first title. The reDragon also challenged for the IWGP Junior Heavyweight Tag Team Championship at the New Japan Pro Wrestling from 2014 to 2016. Fish had toured to Japan before with Pro Wrestling Noah from 2006 to 2013, sometimes enjoying several tours in a single year. What if NXT is involved in the WWE Superstar Shake-Up this week? 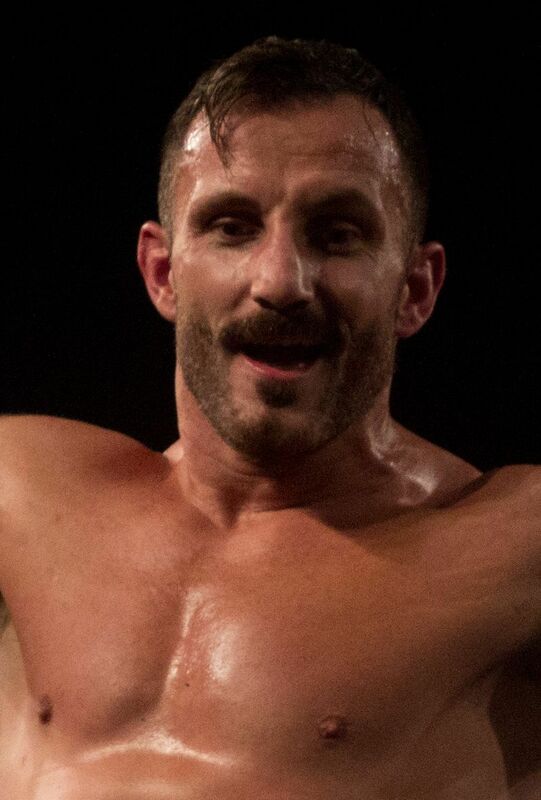 WWE News: When will Undisputed Era's Bobby Fish wrestle again? From The Rumor Mill: Adam Cole forced to pull double duty at Takeover: New Orleans?